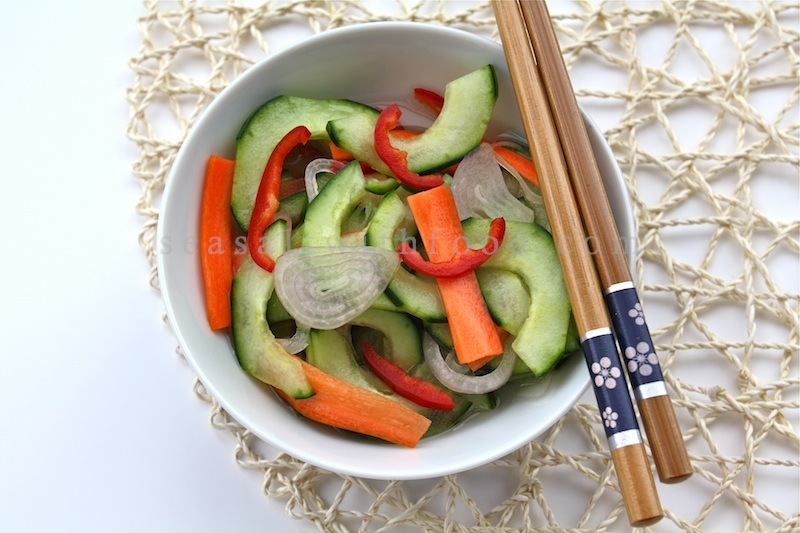 Here is the recipe for a simple and quick Cucumber and Carrot Pickle. A good combination of sweet, spicy, and sour tastes to tingle your palate. Mix the dressing ingredients and bring it to a boil. Set aside to room temperature. 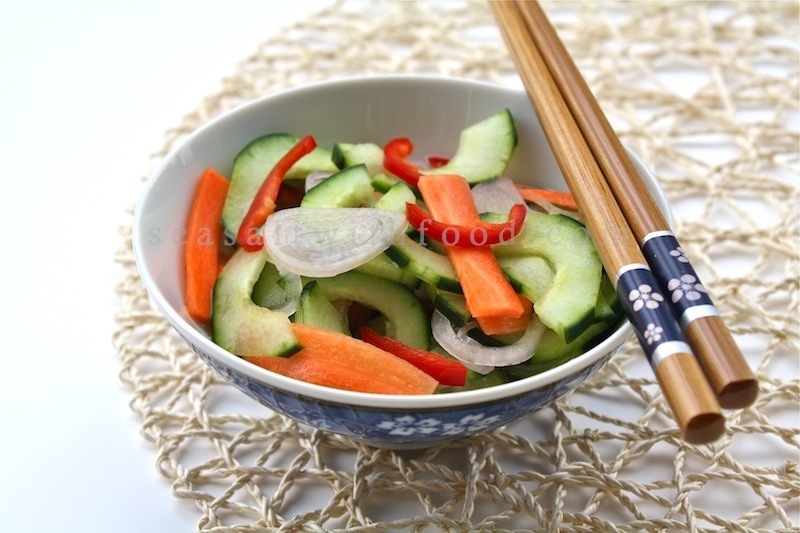 Place sliced cucumber, carrot, shallots and chilies in a mixing bowl. Mix the dressing over the cucumber mixture. Chill for 20 minutes before serving. Very colourful pickle. I love this type of pickle. It's very appetising. Great recipe! This looks wonderful!